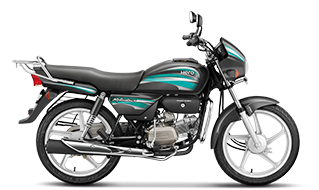 2019 model Hero Splendor is here with IBS (Integrated Braking System). The all new 2019 Hero Splendor Plus (Splendor+ IBS) is offered in 9 color options. Check Photos and details. Hero Splendor+ is one of the top-selling motorcycles in India. Hero Splendor Plus is the most preferred 2-wheeler among Indians because of its superior mileage, performance and brand love. Hero Motocorp has now launched the 2019 model Hero Splendor+ motorcycle which gets IBS (Integrated Braking System). The IBS feature added to Hero Splendor+ improves the braking performance of the motorcycle as it synchronously distributes the braking force to both front and rear wheel. The recently launched 2019 Hero Splendor Plus IBS motorcycle provides combined front-rear braking, shorter stopping distance and enhanced stability. 1 new color added: The 2019 model Hero Splendor Plus IBS gets a new color variant Heavy Grey with Green. Check out the photos of all new 2019 Hero Splendor in different color options below. The all new 2019 Hero Splendor Plus motorcycle is offered in Black with Purple color. 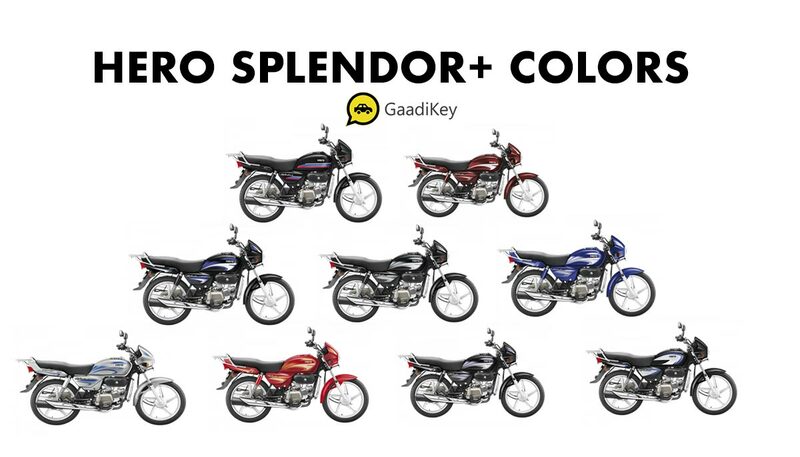 Check out the photo of all new Hero Splendor Plus in Purple Color. The all new Hero Splendor Plus 2019 model is offered in Candy Red color option. Check out the photo of new 2019 Hero Splendor in Red color option. 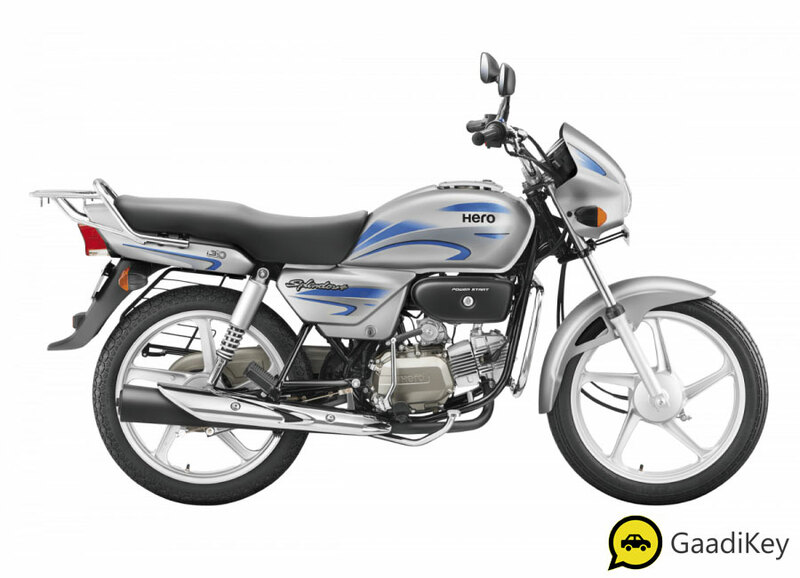 Hero Splendor 2019 New Model is made available in Cloud Silver colour. Check out the photo of 2019 Hero Splendor+ in Silver color below. The all new 2019 model Hero Splendor+ is offered in Excellent Blue color option. You may check the photo of 2019 model Hero Splendor in blue color option below. The all new 2019 Hero Splendor Plus is available in Grey Black color option. 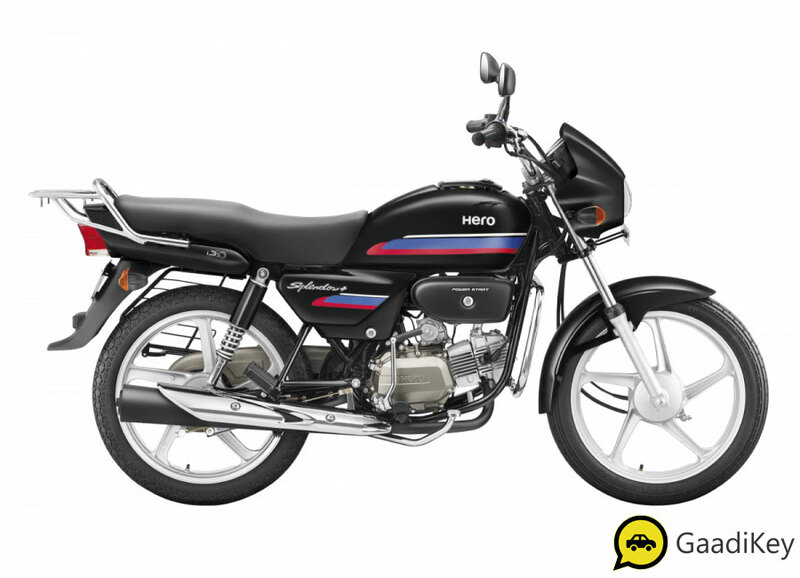 Check out the photo of new 2019 model Hero Splendor+ in black color. The all new model 2019 Hero Splendor + is offered in High Granite Blue color option. Check out the photo of 2019 model Hero Splendor Plus motorcycle in blue color option. The all new 2019 model Hero Splendor Plus is launched in Palace Maroon color. Check out the photo of new 2019 Hero Splendor+ in Maroon color. The all new 2019 model Hero Splendor+ is offered in Red Black color option. Check out the photo of new 2019 Hero Splendor Plus motorcycle in Red black color variant. The Hero Splendor Plus 2019 Model is offered in Violet Black color. Check out the photo of all new 2019 Hero Splendor+ motorcycle in violet color below. The all new 2019 model Hero Splendor+ (now available in IBS) has introduced a new color option Heavy Grey with Green color. Check out the photo of 2019 model Hero Splendor+ in Green Grey Color below.